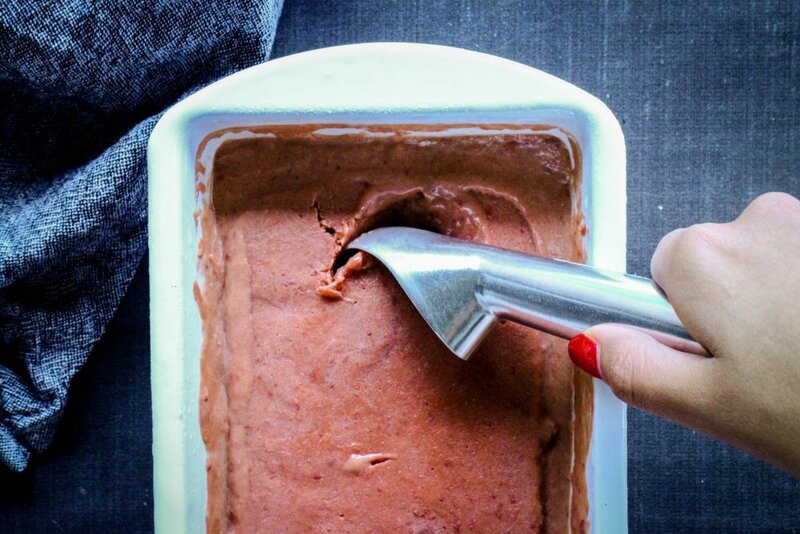 Pour sorbet mixture into a container and freeze for 3 hours before serving. We are a little bit sorbet obsessed and with Summer on the way we have been busy in the kitchen coming up with new flavour combinations to satisfying our cravings for a cold sweet treat. 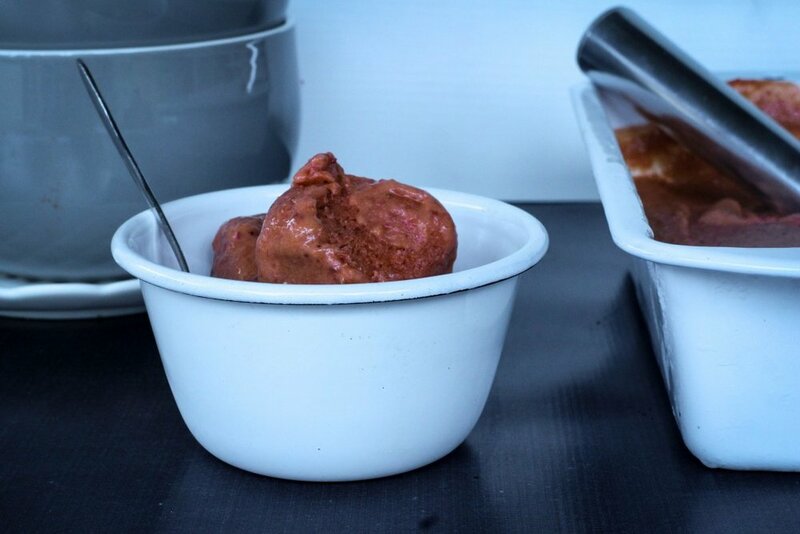 Sorbet is traditionally made with castor sugar, however we have swapped this out for Chelsea Coconut Sugar – an unrefined sugar option that has a beautiful toffee like taste. The mixture of tart lemon, toffee sugar and the sweetness of strawberries and nectarines make for a taste explosion! This recipe is vegan friendly, suitable for anyone who is lactose intolerant or gluten free.